Chervona Yana (Donbas-Ukraine Battalion) a senior female soldier. She was killed during an attack on Ukrainian positions near Novozvanivka, Luhansk Region. Milutin Alexander (Donbas-Ukraine Battalion) a junior sergeant. He was killed during an attack on Ukrainian positions near Novozvanivka, Luhansk Region. Fedorishin Roman (1st Assault Company of Volunteer Corps) a volunteer. 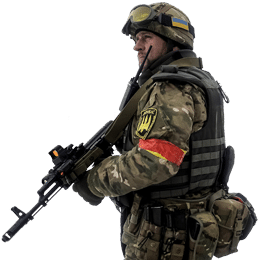 He served in Donbas since 2014. Died during a car accident near the frontline, in Avdiivka. Pharmagay Yuri (57th Mechanized Brigade) a senior soldier. He was killed by an enemy sniper near Pisky, Donetsk Region. Streknnev Dmitry (54th Mechanized Brigade) a soldier. He died during an enemy assault on Ukrainian positions in Zolote, Luhansk Region. Fox Ivan (54th Mechanized Brigade) a soldier. 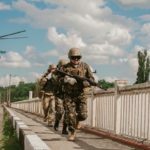 He died during an enemy assault on Ukrainian positions in Zolote, Luhansk Region. Jemny Yaroslav (53 Mechanized Brigade) a soldier. He died in the zone of Joint Forces Operation. No other details are known at this moment.